David McCullough Jr. a famous author once said, “Climb hills and mountains not so the world can see you, but so you can see the world”. Hill stations are the most sought after holiday destinations and also honeymoon destinations in India. It is so because they offer the perfect escape from the scorching heat and most importantly a relaxing, chilling and mesmerizing landscape to fill your soul. Exploring the hill stations is not just a recreational activity but a passion for many and hence hill-stations are very popular destinations in India. Keeping in view of her majestic beauty, Coorg is often referred to as the "Scotland of India" or the "Kashmir of the South". 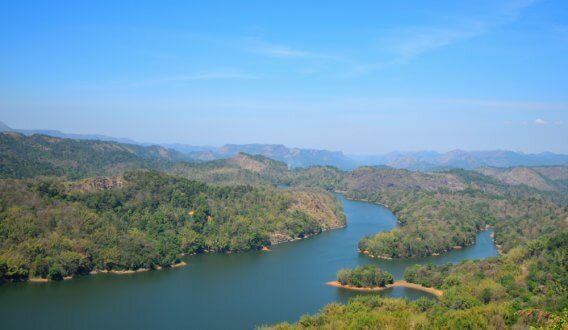 This beautiful hill station in South India stands tall at above 3500 ft. above the sea level. Coorg boasts of rich greenery of the Western Ghats thus offering unrivaled beauty to the tourists. You can also explore through to find many ethnic groups like the Kodavas, visit the coffee plantations, or engage in some adventure sport. Staying would be advisable in the central city area, which offers a variety of options that suits according to your budget. So light up your cigarette, open a chilled beer, which is famously served in some restaurants and enjoy the exotic beauty of Coorg. The nearest airport is Mangalore International Airport, which is 160 km away, also there are K.S.R.T.C deluxe buses, which run daily from Bengaluru, Mysore, and Mangalore, which is the most common way to get there. 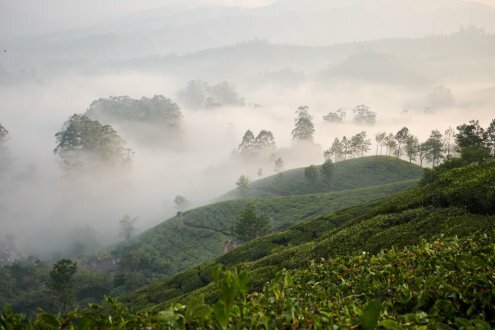 The alluring Nilgiris boasts of three popular hill stations in South India, and Kotagiri is a quintessential plantation to visit amongst the three. Standing at a towering altitude of 5,882 ft, the name Kotagiri translates "Mountains of the Kotas" (which is an ancient tribe). Encircled by unending greenery and tea estates, Kotagiri has plenty of activities to offer like rock climbing and trekking. Apart from enjoying the greenery, a lavish tour through the tea plantations is also recommended where you get a nice view of the daily routines of workers plucking the tea leaves and even do some natural brewed coffee tasting to soothe your soul by visiting one of the tea factories.The beautiful Catherine Falls, Elk falls, Longwood Shola along with other tea plantations are not to be missed. The Dodabetta range, the famous Kodanad point, and the Rangaswamy Pillar also tops the major attractions. 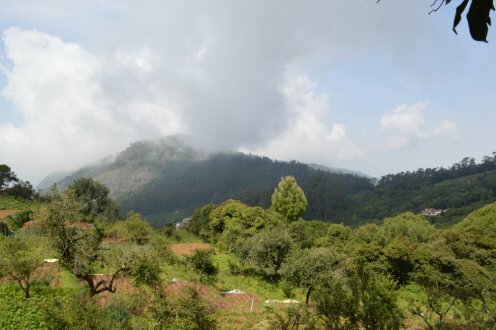 The nearest railhead to Kotagiri is Coonoor about 21 km from the hill town. Ooty (29 km) and Mettupalayam (33 km) are the other best options to reach Kotagiri by train. Probably the most famous of the lot, Kodaikanal is one of the favourite destinations for tourism in South India. Starting from the breathtaking landscapes to the incredibly dense pine forests, Kodiakanal offers it all. Then there are also other major attractions like Dolphin's nose, coakers walk, and the Solar observatory. 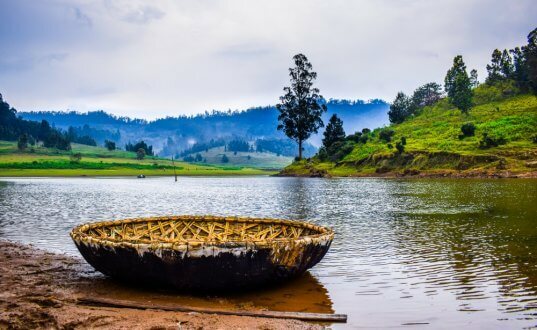 Boating is also another option available if you just want to chill and relax and passively embrace the serene beauty of Kodaikanal. If you wish to see the cloudy and fluffy mists where it is almost touching the sky with utmost grace, Kodiakanal is the right place. The airport nearest to Kodaikanal is Madurai about 120 kilometres away. Others in line include the Trichy airport and the Coimbatore airport 150 and 175 kilometres away respectively. Kodaikanal is easily accessible by road from Chennai (439 kilometres) and Bangalore (305 kilometres). Primarily known as Ootacamund, which translates to house in the mountains, Ooty is the conventional hilltop terminus, thus earning her nickname "The Queen of Hill Stations". Standing tall at 7347 ft, Ooty is famous for its scenic picnic spots with dense forests, picturesque grasslands, and lofty mountains. Ooty is accessible via road but the miniature trains that take you to this beautiful queen of hills is a must try. Some parts of the deep and dense forests require special permission for camping as these are marked as natural reserves. Not to forget the Ooty Botanical Gardens, which covers a whooping 22 hectares of land and is home to more than 600 species of plants and trees, the gardens also host an annual festival in the month of May. Coimbatore is the nearest domestic airport from Ooty, which is well-connected with most of the Indian cities. You can also take a flight from Bangalore. You will get both government and luxury buses from Bangalore, Mysore, and Chennai to Ooty. One of the most famous hill stations in Kerala is Ponmudi in Western Ghats making it one of the few hill stations that stand in close proximity to the sea. 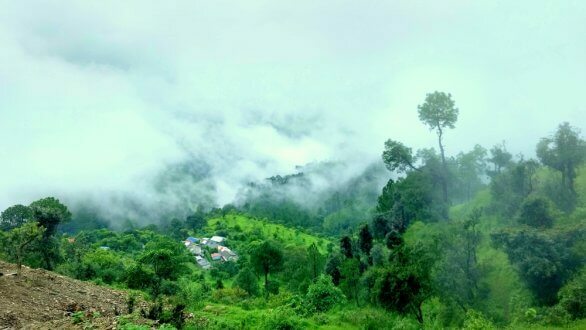 This hill station is perfect for adventure activities like trekking and the journey upwards is quite exhilarating. The mountains are mist-covered, and it leaves one spellbound as the view is jaw dropping. The place is well and truly pure eye candy for nature lovers as it is home to exotic butterflies, rare flowers, and tiny rivulets. The nearest railway station to Ponmudi is the Trivandrum Central Railway Station, it is also easily accessible via a direct drive in through the road, Nedumangad route. One of the most preferred honeymoon destinations in Kerala, Munnar is well-known for its tea gardens, waterfalls, and lakes. Tea obviously is a speciality in Munnar and sipping Munnar's home brewed hot beverage in the chilly climate is something not to be skipped. 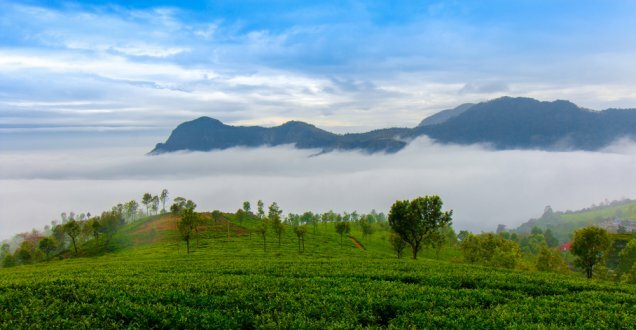 Located in the Idduki district, Munnar is blessed with some fantastic viewpoints, hills, streams and valleys. It is the hub of tea plantations in Kerela. Neelakhurji, the flower that blooms once in twelve years is also a major attraction here. The nearest airport is Cochin International Airport, which is around 125 km away. The nearest railway station is located in Kochi, directly accessible via road as well. If you drift about 5 kilometres from Munnar, you can also visit Devikulam, which is yet another hill station in Idukki that offers a plethora of sightseeing options as it stands right in the midst of two major hill stations in Kerala and is also rich in biodiversity. Visiting any of the listed hill stations in South India will make you spell bound with their immense beauty and charm. If natural beauty is what you seek, the hill stations in South India are most ideal places for you to spend a relaxing vacation.